OnePlus CEO Pete Lau Confirms Android O Upgrade For OnePlus 3/3T - AndroGuider | One Stop For The Techy You! To the delight of all the OnePlus 3/3T users, OnePlus CEO Pete Lau has confirmed that both the devices will be receiving the Android O upgrade. Lau's tweet which confirmed the above update can be found below. "A lot of you have been asking, so I'm proud to say Android O will come to OnePlus 3 and 3T." Both the OnePlus 3 and 3T were powered by Marshmallow 6.0.1 out of the box. They had previously received their first major upgrade to Nougat in December last year. The Android O update will be the second major upgrade for the duo. The Android O upgrade promise for 3/3T has left the OnePlus 2 users in dismay. 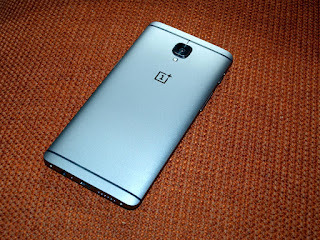 In August 2015, At the time of it's launch, OnePlus 2 ran Lollipop 5.1.1. Later, OnePlus updated it's 2015 flagship to Marshmallow. However, soon after the launch of OnePlus 3 in March 2016, the number of updates (both stable and beta) for OnePlus 2 declined suddenly. Priced at $399, the OnePlus 3 gave other flagship handsets a run for their money. It was priced at almost half the starting price of the Galaxy S7/S7 Edge and boasted of better hardware specifications. It, therefore, didn't take much time for OnePlus 3 to become a popular device. Catering to the growing fan base, OnePlus started devoting most of it's attention to OnePlus3 with the help of constant software updates and beta builds. This stole the attention which OnePlus2 deserved. As the 3/3T are assured of their second major Android upgrade, OnePlus has stayed mum on the Nougat update for the OnePlus 2. As it has been six months since OnePlus 3/3T got its Nougat update, it looks as if OnePlus 2 won't be getting the Nougat update after all.